GHL has been pretty busy in recent months with the release of their Mitras LX 6200 HV and Mitras Full Spectrum LED strips, but they still have one more cat in the bag that’s ready to be unleashed. 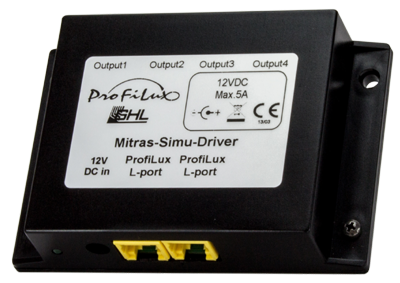 Their new Mitras powered Simu-Sticks are another set of strip lights that function really nicely with the ProfiLux line of aquarium controllers, but instead of being the primary light source like the other two fixtures, the new Simu-Sticks are meant to be supplemental lighting. GHL is primarily marketing them as supplements to T5HO lighting, most like due to the shimmering effect that the LEDs provide, and as of just a couple of days ago, they have officially been made available to pre-order. The GHL Simu-Sticks will come in two lenghts, 21.5″ and 37.5″, and are designed to help create sunrise and sunset effects, moon phase lighting, and even weather patterns. In typical Mitras fashion, the Simu-Sticks are loaded to the brim with multiple colors, as least as far as strip lights go. They have 4 separately dimmable light channels that include neutral white, red, green, and blue LEDs. To take advantage of the dimmability of these LED strips, they must be hooked up to a ProfiLux and ManuDimm controller. Without the controller, the strips will run at 100% on all channels. The strips are made from an anodized aluminum body with cooling fins, and adjustable mounting brackets give you some flexibility with mounting them. 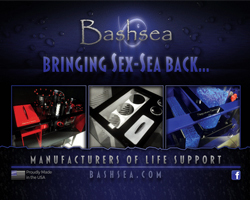 The strips are waterproof, and the LEDs are sourced from Samsung type 5060 emitters. A total of four Simu-Strips can be controlled simultaneously through a single driver, though all four will operate at the same settings. As far as pricing goes, one 21.5″ Simu-Stick and one driver will set you back $149. The price jumps to $169 for the longer version, and if you want just the strips themselves without the diver, they run $59 and $89 respectively.